The story of the Pacific Northwest Ballet and its artistic directors, Kent Stowell and Francia Russell. 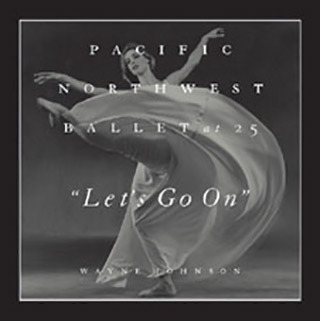 This book chronicles the Pacific Northwest Ballet's rise from a small Seattle-based classical dance company to an internationally respected troupe. With over 80 artistic black-and-white images printed in high-quality duotone, Let’s Go On captures the dancers in action.